With Compassion & Soul Inc. - SO WHAT IS THE SOLUTION? The production of Palm Oil needs to be regulated so that it’s not contributing to further devastation on deforestation, wildlife, habitat, the environment and the local people who rely on their land to survive. The countries which produce Palm Oil also rely on the revenue from Palm Oil. Palm Oil is predominantly produced developing countries which lie 10 degrees either side of the equator and just like already developed countries they rely on exports to bring revenue into the country. Currently most palm oil producers produce in an unsustainable way, if we don’t attempt to regulate palm oil production at all there will be no rainforests left. Choosing to use products which do not contain palm oil & it’s derivatives is fine for those of us who have the luxury of choice (and I am one of them) BUT the biggest consumers of palm oil are countries in South East Asia like China, India, Indonesia, Malaysia, Thailand, Pakistan, Burma and others (they consume around 55% of Global consumption) These countries contain millions of people who will never have the luxury of choice due to their economical situation, their lack of access to alternatives & their lack of education as to what does & what doesn’t contain palm oil. The rainforests will be gone if we are to wait for all of those countries to boycott palm oil. So for all of THOSE people we need to choose to pressure the producers of palm oil and the companies who choose to manufacture with it. 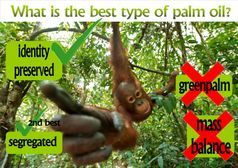 You can do that best by first educating yourself on the issue and then by emailing & face booking companies to let them know you will choose alternative products to theirs if they do not start using either Identity Preserved Certified Sustainable Palm OIl (IP CSPO) or remove palm oil from their products. 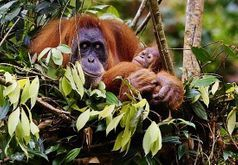 So who are the organisations attempting to monitor how palm oil is produced and what is acceptable and what isn't? The only supply chains which should be acceptable are Identity Preserved Certified Sustainable Palm OIl (IP / CSPO) and seg Certified Sustainable Palm Oil (seg/CSPO) and ideally the palm oil producer and/or manufacturer should have also signed a No Deforestation Policy with The Forest Trust (TFT) or have signed a Charter with the Palm Oil Innovations Group (POIG). 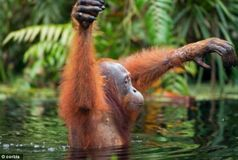 So who are the RSPO, The Forest Trust, The Palm Oil Innovations Group & The Rainforest Alliance? Essentially they are 3 organisations who want palm oil producers and manufacturers to produce palm oil without causing deforestation. 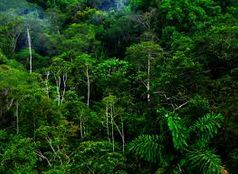 There still is much to do within those organisations but without them the world’s rainforests would disappear without any monitoring by anyone… "If a rainforest disappears and no one is around to hear it, does it really disappear?" The descriptions below (in quotation marks) are taken from each organisation’s website. While the Roundtable on Sustainable Palm Oil (RSPO) member companies publicly claim that they are committed to sustainable palm oil, many are not meeting their RSPO commitments. Despite RSPO certification, all of the same destructive practices are occurring and the RSPO is failing to enforce its own minimal principles & criteria. Part of the criteria to become a member of the RSPO is to make a commitment to the RSPO to eventually be 100% certified by 2015 or later, many of those dates have been pushed forward to 2020. 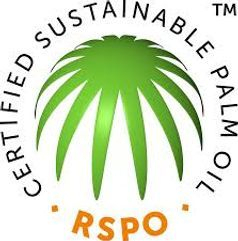 A brand can state they are members of the RSPO without actually sourcing Certified Sustainable Palm Oil, so just because RSPO are mentioned in brand statements it does not necessarily mean they are using certified oil. The RSPO is a necessary part of the solution but really needs a good shake up, better monitoring, more accountability and to be a lot tougher with it's members. The palm oil issue is a complicated issue and to add to that complication there are various RSPO palm oil supply chains which can be difficult to understand. Below is a brief explanation of them. Book and Claim is another term for GreenPalm supply chain. This is NOT certified sustainable palm oil (CSPO). Certified growers downgrade their palm oil to uncertified po then convert to certificates that are traded on a web based transaction system. 1 x certificate = 1 x ton of oil. It is a very cheap palm oil option for manufacturers/ brands to purchase. The end user(manufacturer) is then allowed to make a sustainable claim but it is NOT certified sustainable palm oil (CSPO). This system is meant to be for short term supply only, however it is being abused, failing and clearly a stalling mechanism. 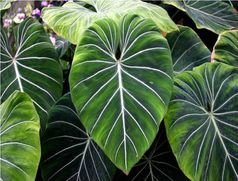 So currently GreenPalm = GreenWash! This is a mix of oil which contains both uncertified & certified palm oil, but it is not traceable to the source. The easiest way to describe this is by example. 100 ton of certified po is fed in, uncertified po is also fed in, equalling 100 ton of mass balance po collected at the other end. So whatever amount the certified producer feeds in is also collected by them after processing, but it is mixed and is NOT certified sustainable palm oil (CSPO). The Segregation supply chain model assures that RSPO certified palm oil products delivered to the end user comes only from RSPO certified sources. It permits the mixing of RSPO certified palm oil from a variety of sources. The Identity Preserved (IP) supply chain model assures that the RSPO certified oil palm products delivered to the end user is uniquely identifiable to a single mill and its supply base and is kept physically isolated from all other oil palm sources throughout the supply chain (including other segregated RSPO-CSPO sources). "The Palm Oil Innovations Group (POIG) aims to support the RSPO through building on RSPO standards and Commitments and by both demonstrating innovation to implement RSPO existing standards as well as with additional Critical issues. With a focus on the three thematic areas of environmental responsibility, partnerships with communities, and corporate and product integrity, POIG members will strengthen their commitments to socially and environmentally responsible palm oil production. The POIG focuses on leveraging its experience to create innovations in the palm oil industry and act as advocates for these innovations. The POIG will demonstrate that by setting and implementing ambitious standards, the industry can in particular break the link between deforestation, and human, land and labour rights violations, and palm oil. The POIG Charter is currently focused on palm Oil producer companies (those who generate a majority of their profit from growing and processing Fresh Fruit Bunches). The POIG is open to any stakeholder in the palm oil sector who supports this charter and shares this vision. The POIG wants to explore ways to increase the market demand for palm oil products that are produced by innovators within." "Envisioning a world where businesses are a force for harmony between people and nature. Since 1999, our supply chain, social and environmental experts have worked between the boardroom and the field, between the worlds of people and nature, NGOs and companies, helping to bring transformation in commodity supply chains. " Basically they are a not for profit organisation which help companies run responsible supply chains. 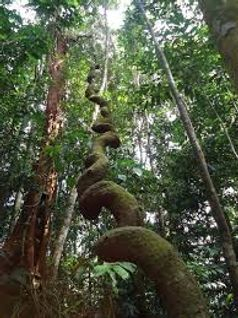 Working predominately in palm oil, pulp and paper and timber, TFT works at the point of raw material extraction (forest, plantation, quarry), through to production in mills and factories to ensure products are traceable throughout the supply chain and that people and environment are respected. 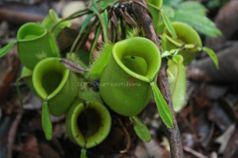 The majority of the organisation's staff are field-based, working with plantation and factory staff and owners. TFT’s business support teams work with buyers/procurement teams and senior management and their supply chain partners to understand what they can do to source products more responsibly. TFT focuses on natural resource extraction, social issues and supply chain transparency. The organisation helps its members to develop raw material and product sourcing strategies. TFT traces supply chains back to the source of the raw material to identify key social and environmental risks to help its members to manage and monitor their supply.
" The Rainforest Alliance works to conserve biodiversity and ensure sustainable livelihoods by transforming land-use practices, business practices and consumer behavior. We envision a world where people can thrive and prosper in harmony with the land.